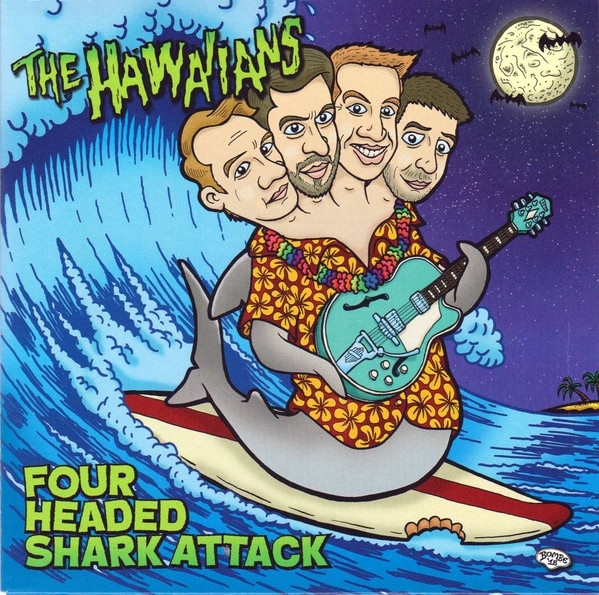 Finally Westerkappeln's surf-pop-punk n' rollers THE HAWAIIANS are back with their first release in fourteen years! After hittin' HAWAII FIVE-0 and a couple of shows with RICHIE RAMONE, THE TRAVOLTAS and THE BEATNIK TERMITES, these guys reunited with Kamikaze Records to make bubblegum poppunk n' roll great again. Three brand new hits, mixed and mastered by Perry Leenhouts (THE TRAVOLTAS), plus a cool cover artwork by Bernd Bombe make this 7" a must-have for every poppunk / ramonescore fan!!! Earcatching bubblegum-pop-punk-rock from Westerkappeln, Germany. The Groovie Ghoulies and The Queers meets The Beach Boys and the Ramones. A very weird but nevertheless well working blend. Great tunes, great lyrics, cool vocals and the icing on the cake is the madly pounding punkn roll. 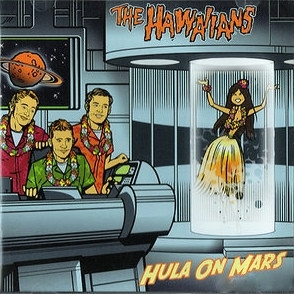 The Hawaiians should be part of any good party DJs repertoire. Melodic, catchy, raw, and sung in english with a german accent! 17 rocking & swinging tracks about love, rock, monsters etc.